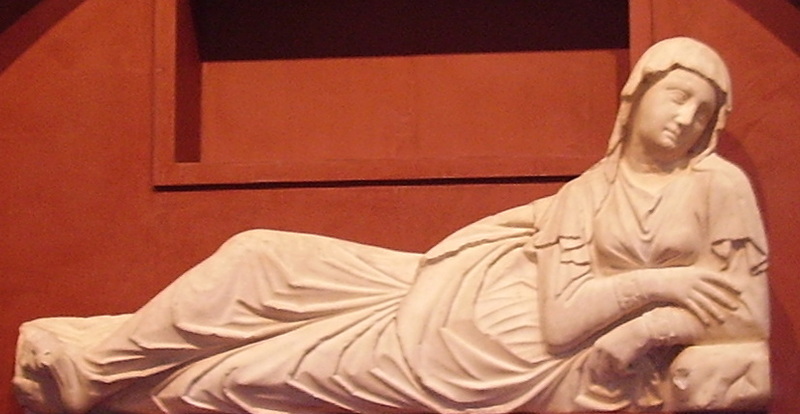 Arnolfo di Cambio (born in Colle di Val d’Elsa, c. 1245–1302) as an architect and sculptor, pupil of Nicola Pisano and a key figure in his own right. Much of his best sculpture is in Rome and elsewhere, but he changed the face of Florence as main architect to the city’s greatest building programme of the 1290s. He made the original plan for the Duomo, and began the facade, now lost but reproduced in the Museo dell’Opera del Duomo, along with some of Arnolfo's sculptures. He also contributed to the Palazzo Vecchio, and some, following Vasari, credit him with the design of Santa Croce and the planned new town San Giovanni Valdarno.